So Whats all this talk about refacing? It’s a fast, less costly and far less inconvenient way of updating your kitchen. 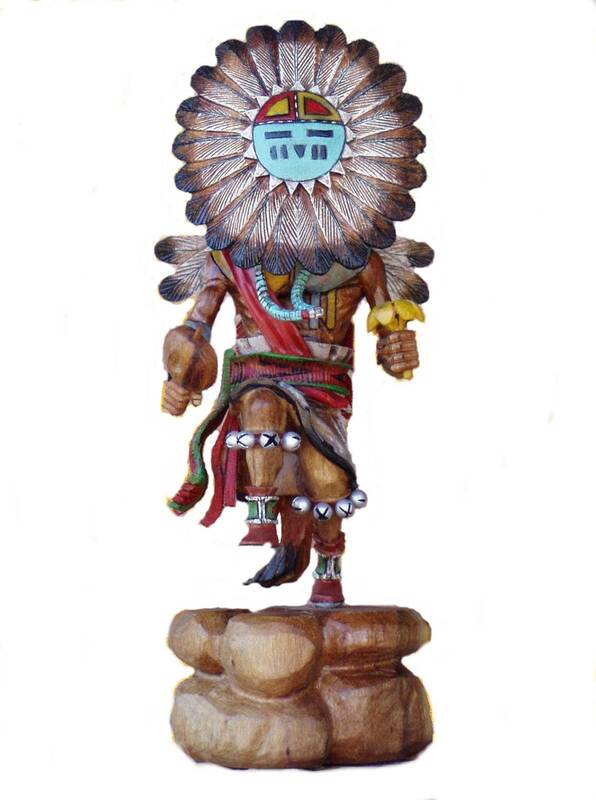 Unlike refinishing you can change your wood species, door style and color. 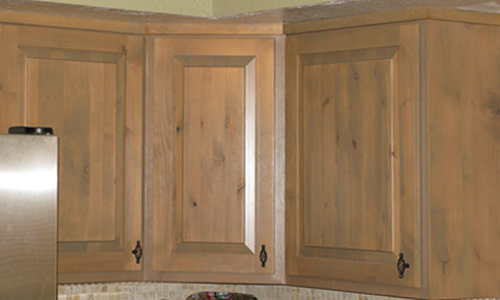 Refacing involves covering the exposed sides and toe kicks of you cabinets with plywood and veneering the faces. Then we replace the doors,hinges, drawer fronts and moldings all in your choice of maple, oak, alder, knotty alder or beech. The material all comes to your house finished and takes on average 3 to 5 days. There are many door styles and unlimited colors to choose from. 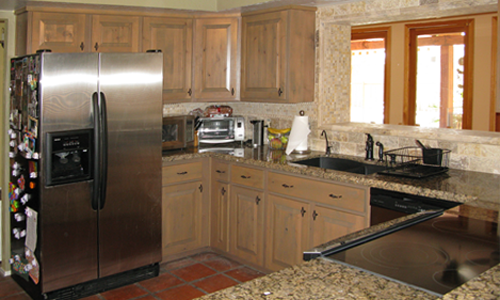 All your appliances are functioning through the whole process and usually runs about 30% less than new. If you already have new counter tops this also may be your only choice. 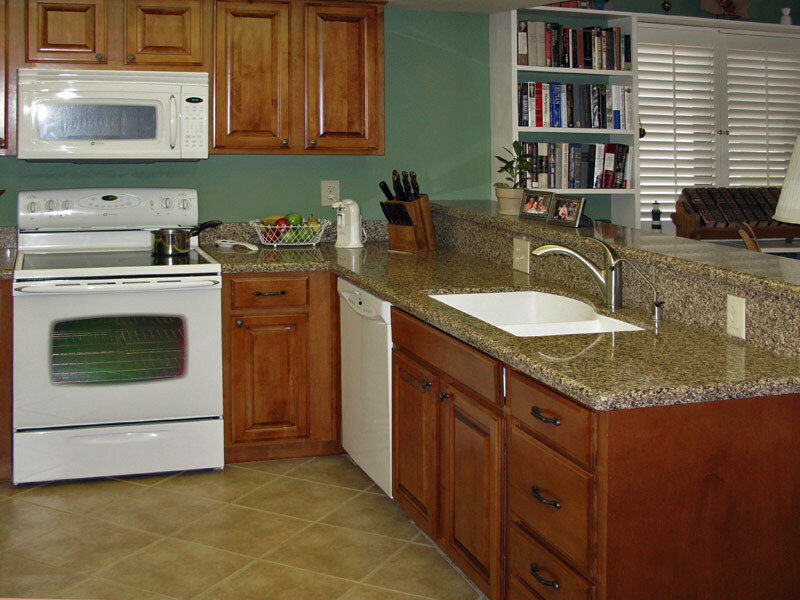 Why reface your old cabinets instead of replacing them? 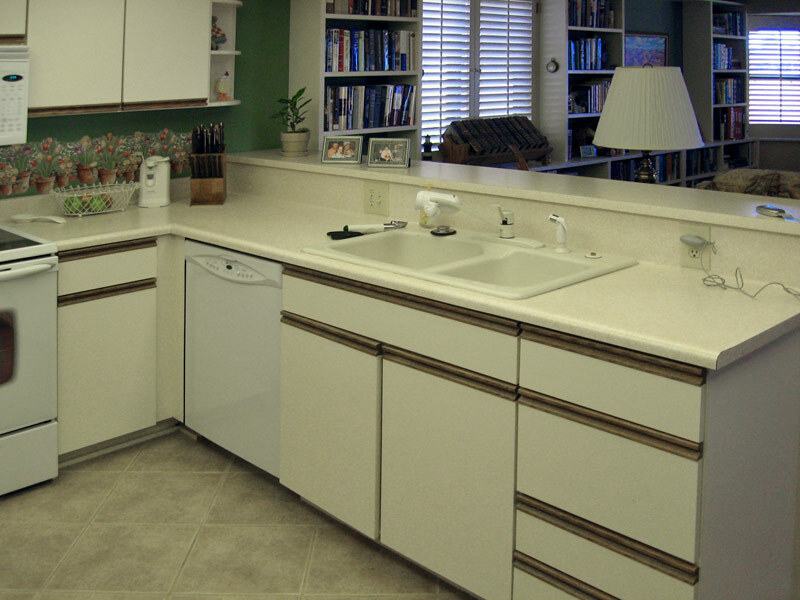 We can alter or add cabinets to your existing layout. Your kitchen remains operational and is usually completed in less than a week. You can save up to 50% of the price of new cabinets! 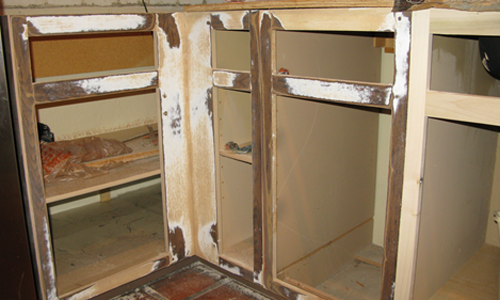 In refinishing, your original cabinets are sanded and then stained or repainted. 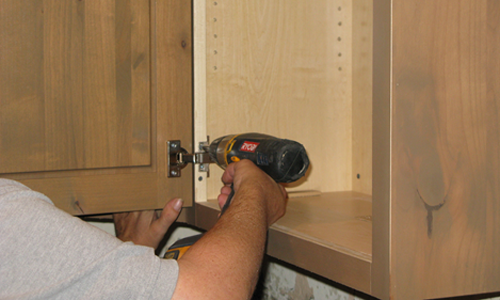 When we reface your cabinets, the drawers and door fronts are replaced with new ones and the boxes are covered with matching veneer. 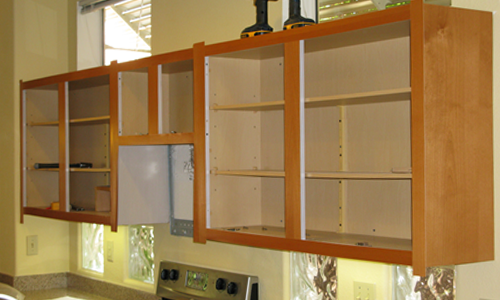 Step 1 – We remove all doors, drawer fronts, and trim. We thoroughly sand all sides and faces to remove all dirt and grease. done with the same species as the doors. Step 3 – All doors are then installed using concealed European hinges. The drawer fronts are also attached to the drawer boxes. Step 4 – New trim is installed and if you want, new handles or knobs supplied by you are put on for free. backsplashes. A great new look for you to enjoy for years to come! 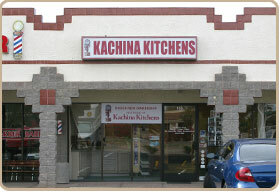 Why use Kachina Kitchens for your refacing project? The owners have over 40 years’ experience. We only work with quality tradespeople. We use quality materials such as solid wood doors and moldings and European five-way adjustable hinges, fully concealed. We strive to provide timely work at a competitive price. Our policy has always been: Best Quality, Best Prices, Best Service. 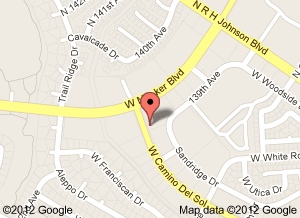 If you are interested in a refacing quote and live anywhere in the greater Phoenix area, give us a call today!